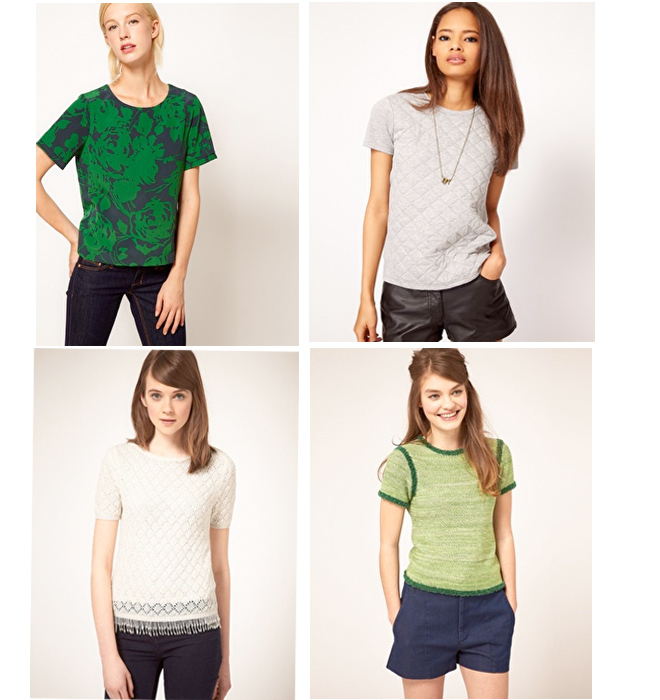 I might have a problem: I’m starting to favor certain models at ASOS. Oh well…my problem is your solution! Today the brief is short sleeve pullover tops. But not t-shirts. Ever-reliant on t-shirts, as I am, I really need the comfort and cut of a tee, but with a little extra.These are versatile enough to wear with jeans, trousers, or skirts.